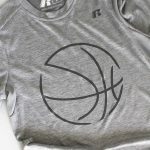 Learn how to customize Dri Fit shirts with Cricut’s new SportFlex Iron On™ with this tutorial for these fun DIY Kids Basketball Shirts! They’re super easy and your kids will love them! Hey friends! 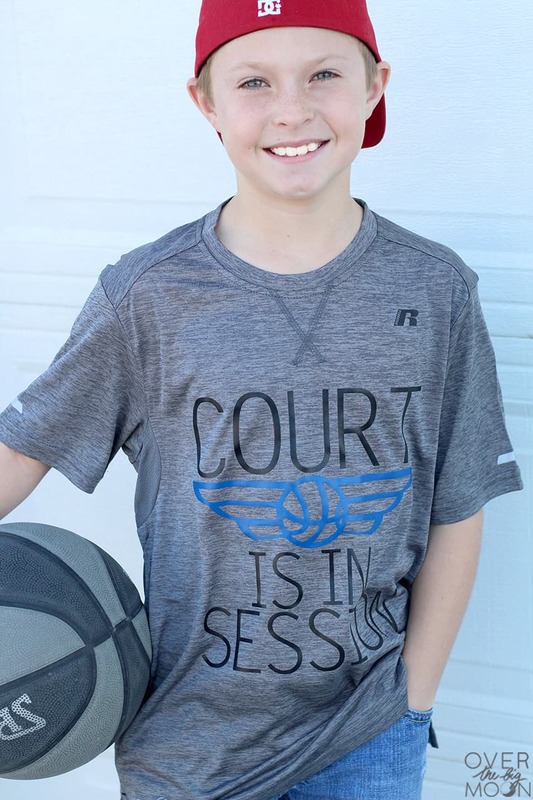 I am so excited to share the details on how to make these super fun Kids Basketball Shirts using Cricut SportFlex Iron On™, along with my Cricut Maker (or Explore Air 2) and EasyPress! It seriously only took me 15-20 minutes to make all three shirts! 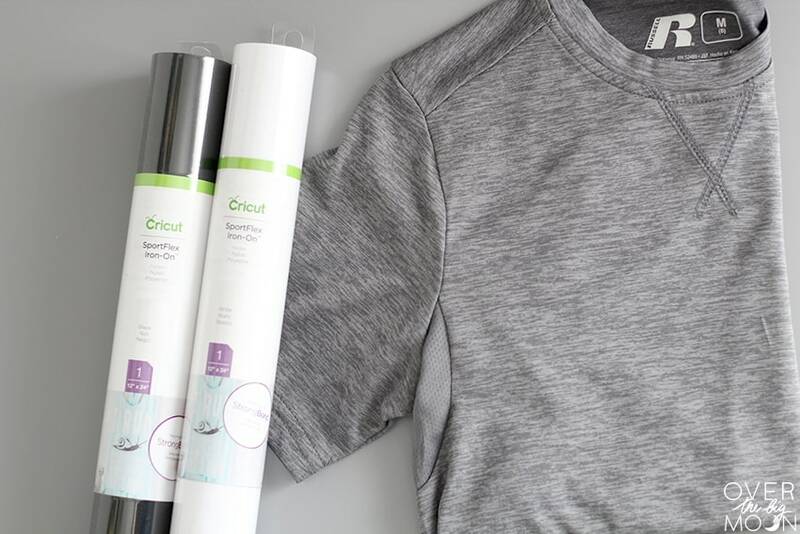 Cricut’s SportFlex Iron On™ is the perfect material to use on your activewear or dry fit shirts! 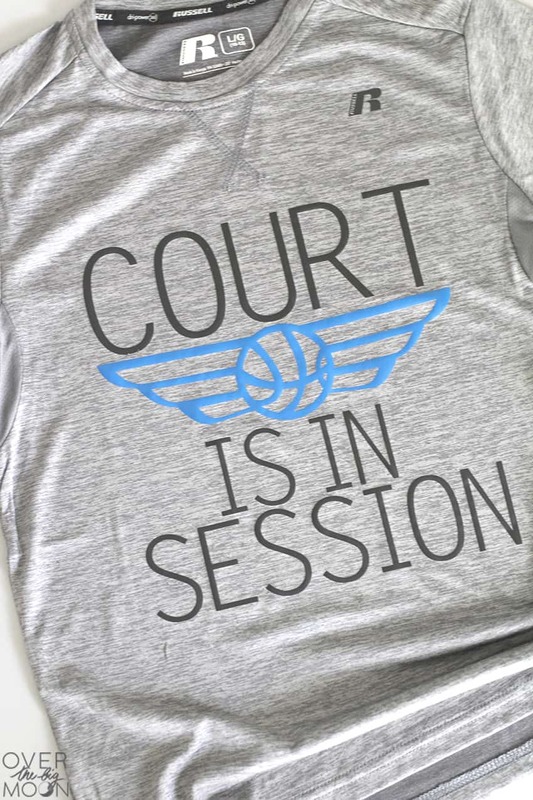 It’s specifically perfect for Nylon and Polyester! It would also be great for any other materials that may need a little extra stretch: workout pants, maternity shirts, shirts for bustier woman, etc! It’s lightweight, flexible and has AH-MAZING stretch! After it’s is applied it can with take more stretch and pull than standard iron on! It also carries the #CricutStrongBond guarantee for longer lasting projects! Now onto this fun project! Essential Tool Kit – the weeding tool specifically, but I use all the tools frequently! 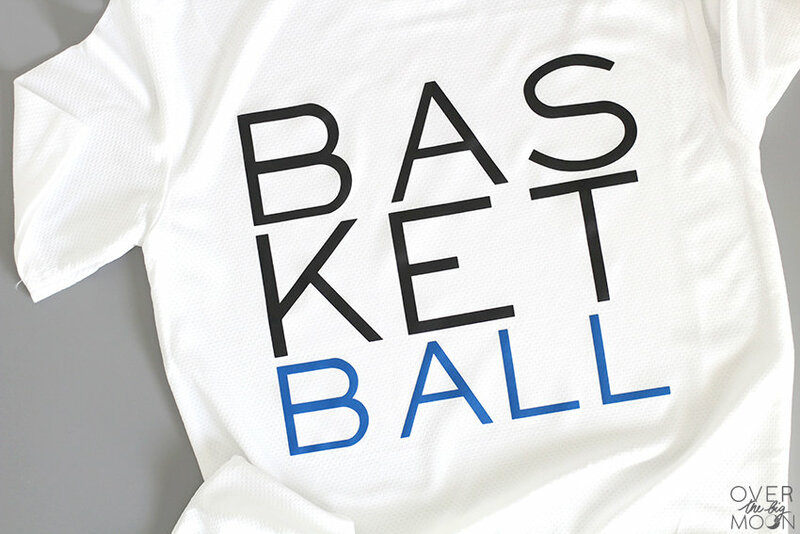 Start by opening up my three DIY Basketball Shirt Designs HERE! Let’s talk shirts real quick — I picked up these shirts on Walmart! You guys, I was SHOCKED how many options they had! Plus, they were super affordable! They have tons of options on Amazon too! 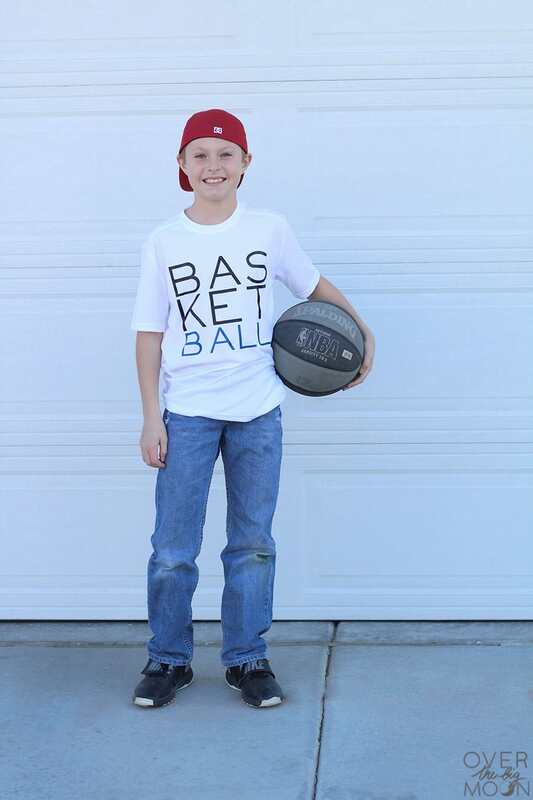 My designs are currently sized to fit my boys shirts – which are little boys size 8 and size 10. 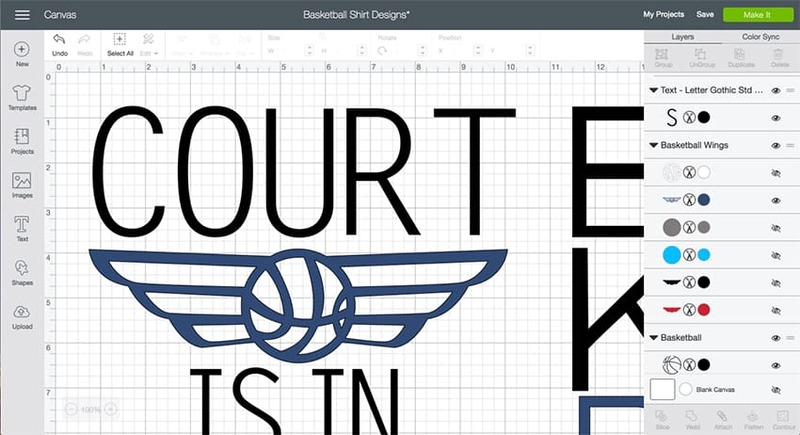 You want to lay out your shirt and measure the space you want the design to go and then resize the designs. You do that by selecting all the area of the design you want to resize and then just dragging the corner of the design. As you drag you’ll see the dimensions moving! It’s SUPER easy! At this time, also feel free to change up the colors of any of the layers to what you’d like them to be! 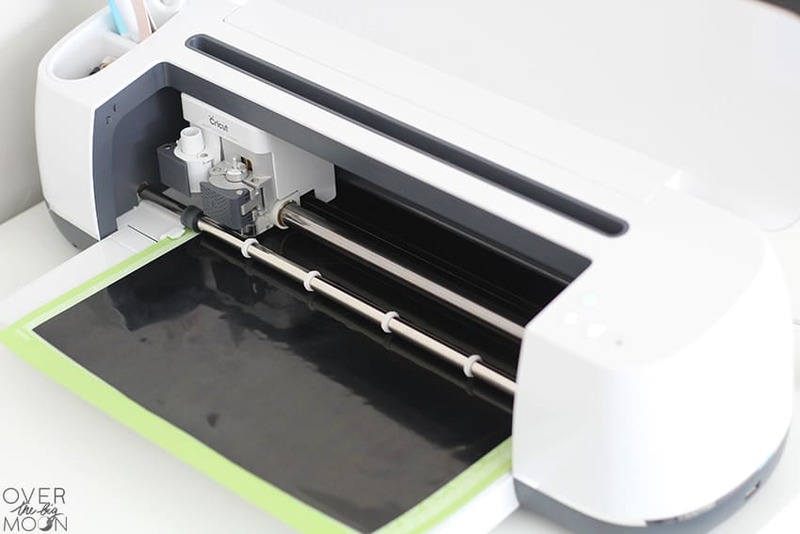 This helps your designs separate onto the appropriate mats for cutting! Once you’re all done, then go ahead and his ‘MAKE IT’ in the top right hand corner. Make sure to mirror image ALL your layers! This is something you’ll do on ALL Iron On products. You can do that by clicking each layer on the left hand bar and just turning on the mirror button. It will show you a preview of the image mirrored to confirm that it’s on! Then go ahead and hit CONTINUE in the bottom right hand corner! Then select your machine from the drop down menu if it doesn’t automically find it. You’ll also need to select your material at this time. 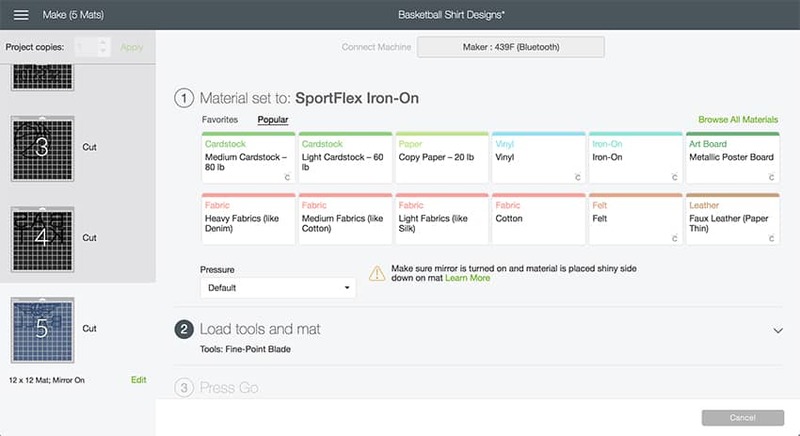 You’ll most likely need to hit Browse All Materials and search for SportFlex Iron On™ by typing in the name. Load your standard grip mat with the SportFlex. And make sure the shiny side is down! Make sure and verify your fine point blade is in and then go ahead and load your mat and then when the C button on your machine is flashing hit to to cut! Once all you layers are cut on your machine! Then go ahead and weed your designs! Then go ahead and get your EasyPress plugged in! I just got the new EasyPress mat and have used it on my last few projects and it’s awesome! 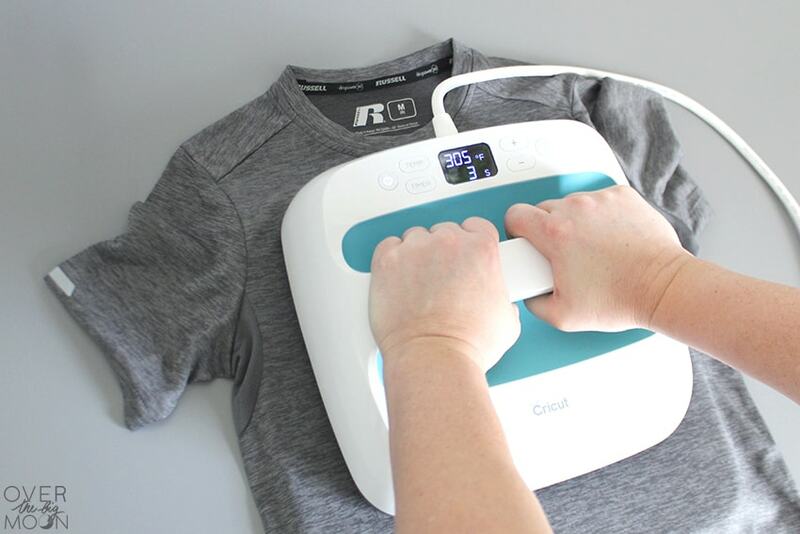 You put it under your shirt and it helps properly place the heat to give you the best application of the iron on! The 5 layers helps eliminate the moisture and also helps protect the surface you’re working on! Then figure out where you want to place the design! I generally just use a ruler! Once you get an idea of where you want it to go, then quickly heat the area you are going to transfer to. 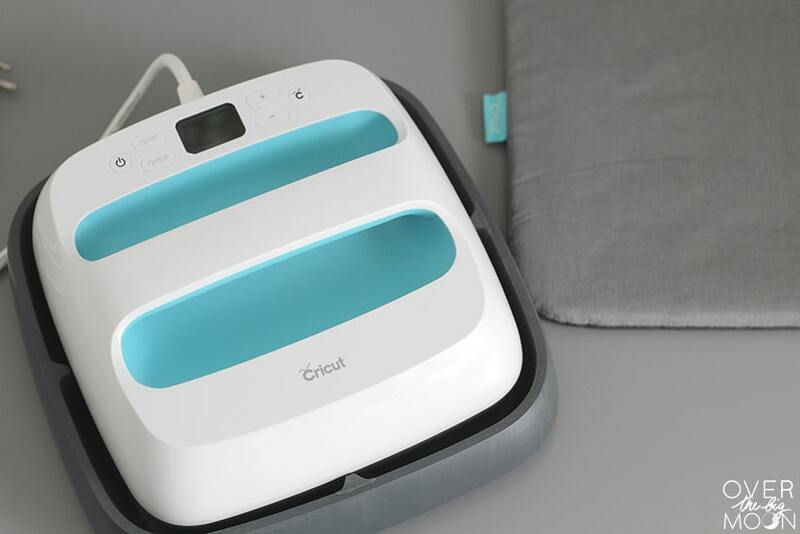 Replace the designs and press it on with the EasyPress. 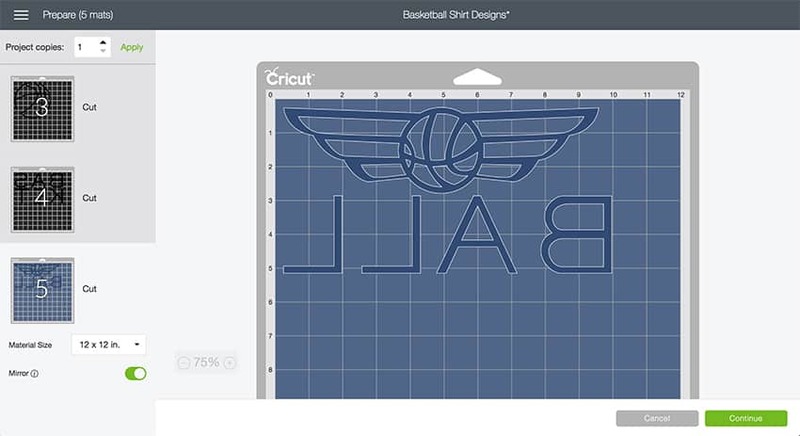 With Cricut SportFlex Iron On™ you will set your EasyPress heat to 305 degrees and heat each area of the design for 30 seconds! Because two of my designs were larger than the EasyPress plate, I had to break my heat areas into 4 areas. For the basketball, I was able to do it all at once! Does that make sense? 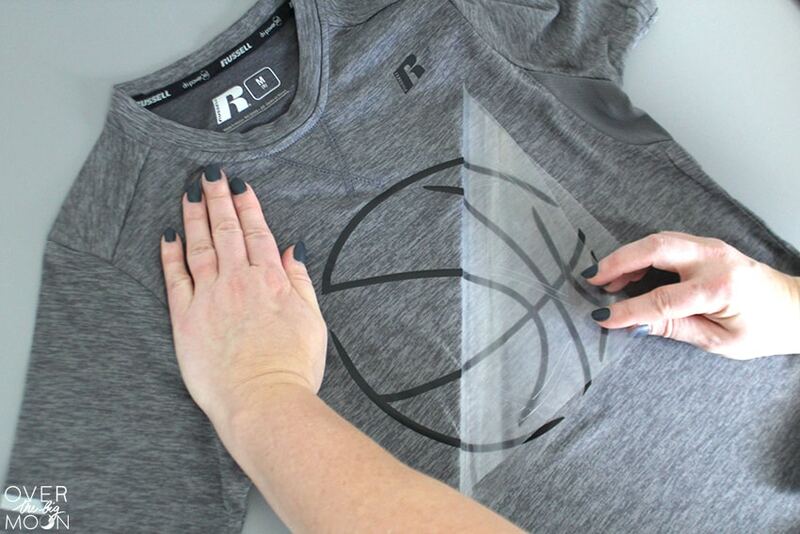 Then turn your shirt over and heat the back of the shirt/design for about 15 seconds on each area of the design. Turn your shirt back over and allow it to cool COMPLETELY before removing the plastic sheeting. This is called a COLDPEEL! I’m not even lying when I say that I cut and applied all three designs in 15 minutes! It’s so quick and easy! Even if this is your first time creating a shirt with Iron On – DON’T BE SCARED! 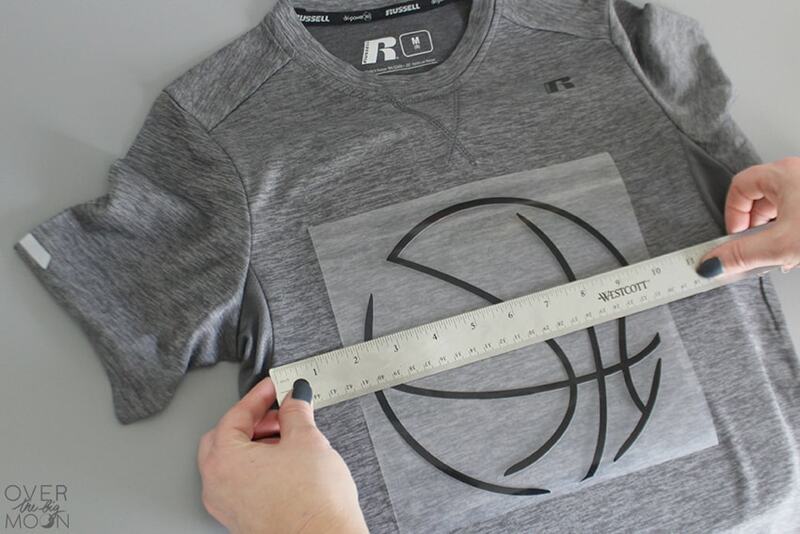 Customizing shirts with Iron On is so much fun and you’ll be hooked after this project! Looking for some other fun Cricut Iron On projects? My oldest son told me after I took these pictures that these are his favorite shirts that I’ve ever made him! WOO WOO!! And he’s already asked me to make some more!